Description: This study of church history based on the Epic DVD meets in Room 7 in the Family Life Center on Sunday mornings. Description: We celebrate the vigil of the Feast of the Immaculate Conception - our national feast day. Description: We celebrate the Feast of the Immaculate Conception - our national feast day. Description: Following Mass, the celebration of Our Lady of Guadalupe continues in the social hall. Description: Our study of church history continues into the modern era looking at the effects of the World Wars on the church, the renewal of Vatican II, and teachings of John Paul II. 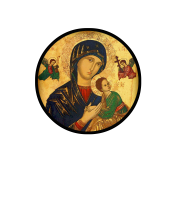 Description: We celebrate the vigil of the Solemnity of Mary, Mother of God. This study of church history based on the Epic DVD meets in Room 7 in the Family Life Center on Sunday mornings. We celebrate the vigil of the Feast of the Immaculate Conception - our national feast day. We celebrate the Feast of the Immaculate Conception - our national feast day. Following Mass, the celebration of Our Lady of Guadalupe continues in the social hall. Our study of church history continues into the modern era looking at the effects of the World Wars on the church, the renewal of Vatican II, and teachings of John Paul II. We celebrate the vigil of the Solemnity of Mary, Mother of God.